Museum Catharijneconvent has a long and colourful history. Originally built in the 16th century as a monastery for members of the Order of the Knights of St. John, it was named after Saint Catherine of Alexandria. The monastery’s infirmary eventually became Utrecht’s first teaching hospital while the Catharijneconvent was subsequently used for a wide variety of purposes. Having provided accommodation for the military, and for student fencing and acrobatics clubs, it was used for many years as a school gymnasium and has housed a number of museums. After a complete refurbishment, the current Museum Catharijneconvent was officially opened by the then Queen Juliana on June 9, 1979. 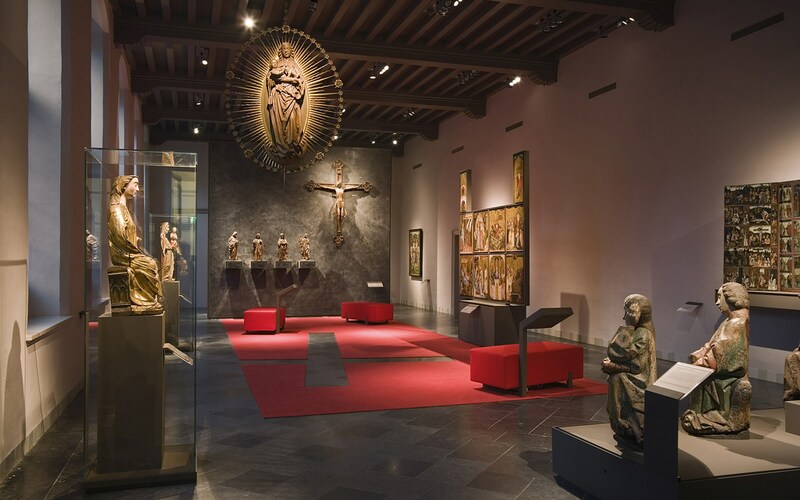 The permanent collection of Museum Catharijneconvent comprises unique historical and art-historical exhibits ranging from the early medieval period to the 21st Century. This collection offers an insight into the Christian art and cultural history of the Netherlands and its influence on Dutch society. The collection includes richly illuminated manuscripts, jewelled book bindings, richly decorated images, unique paintings, altar pieces, ecclesiastical vestments and artefacts of gold and silver. Dutch art from the Golden Age of the 16th and 17th centuries is represented by Jan van Scorel, Rembrandt, Frans Hals and Pieter Saenredam. Of more recent vintage are works by Jan Toorop, Shinkichi Tajiri and Marc Mulders. The Museum Catharijneconvent collection contains both Protestant and Catholic artefacts, making it unique in the world.